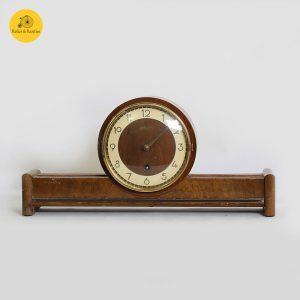 On offer here is the vintage classic Bentima oak case striking mantle clock. 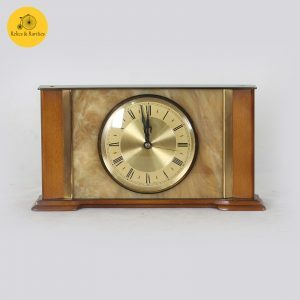 Bentima is a British company which was listed as clock exhibitors and manufacturers in the British Industries Fair in 1947. 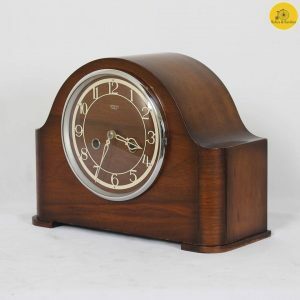 They were the primarily associated with producing mechanical clocks and worked in associatiom with the Perivale Clock Manufacturing Company Ltd. to produce synchronous clocks. 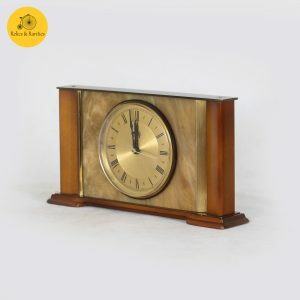 This particular Bentima is an antique 8-day mantle or carriage clock made of oak, which must date post-1935. 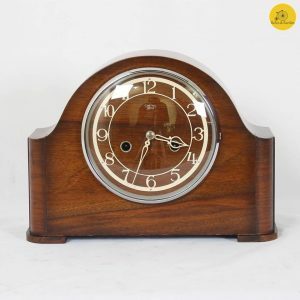 It belonged to the Edwardian style of clocks featuring repeated clock strike every hour and half hour. 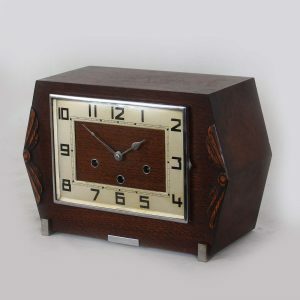 The movement inside has engraved Perivale symbol. 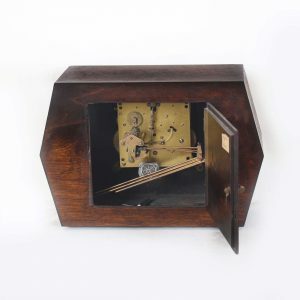 Although the original key and pendulum seem to be missing, the body of the clock is intact with only slight chipping of wood on the sides of the body. 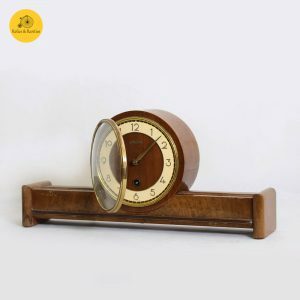 Its vintage look can give your decor a chic classic touch that can complement with your wooden interior. Grab it before someone else does.